Tamara has been wonderful to deal with, I would have no hesitation in recommending her. The cost of divorce is often in the news, with scare stories of divorce costing tens of thousands of pounds and having a knock on effect on personal finances many years into the future. So it’s understandable that if you talk to a family law solicitor you want to understand exactly how much things are going to charge, and ideally want a fixed price for the work to be undertaken. 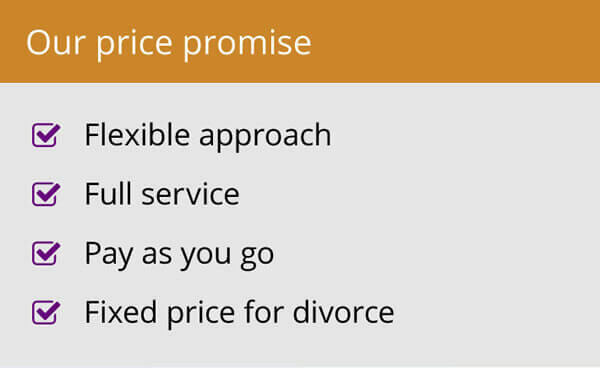 Family solicitors charge in a number of different ways for divorce. The traditional method for solicitors to charge their clients is to charge for their time, often explained as an hourly rate (which varies subject to the experience of the individual lawyer). A client is charged for all the time spent working on their file. This means that every time a letter or email is written or received a charge is made. The same applies for time spent on the telephone, meeting with clients, preparing documents, attending Court and so on. The interesting thing here is that hourly rates can differ greatly from junior lawyers to family law experts. So whilst you might think you’re getting a ‘bargain’, if that means your lawyer is an inexperienced lawyer, a lawyer who doesn’t normally deal with family law or even a trainee they will take much longer to get the job done, have less experience and may get things wrong. So choosing the lowest hourly rate may be a false economy. Fixed pricing differs from the ‘usual’ manner in which solicitors charge and is becoming increasingly popular with clients and the legal profession. Fixed prices are not new to Woolley & Co, as we to large extent pioneered the fixed fee movement. That means we are very experienced in dealing with clients on a fixed price basis whilst still providing excellent levels of service. With a fixed price, the lawyer and the client agree in advance what work needs to be carried out, for example a straightforward divorce or representing them at a Court hearing, and the fee remains the same and covers all of the work involved. With this way of working clients can properly budget for costs and don’t receive any unexpected bills or bills which they cannot afford to pay. Due to the fact that each case is unique it’s rarely possible to offer a fixed price before fully understanding the nature of a divorce or family law case, the likely response of the other party (ie how adversarial they are likely to be) and the consequences of any action taken. Where possible Woolley & Co endeavour to offer a fixed price as we believe in transparency and fairness to our clients. If we can offer a fixed price to you for the work which you need to have carried out, we will, and if we can’t due to the nature of the case we can often breakdown work into manageable stages so you know exactly what’s involved to help you reach a given outcome. Each time we speak to a prospective client we spend time explaining the costs involved in appointing us to handle their case. Many come fearful of the likely costs or concerned that they are being asked to write a blank cheque. 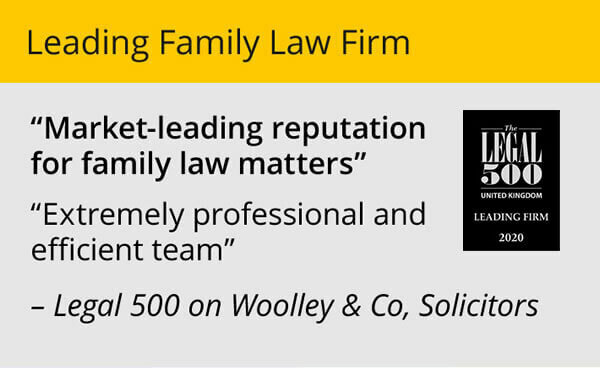 This might have been the case when using solicitors back in the day, but rest assured if you talk to Woolley & Co you’ll be given full details of any costs involved in the initial (free) call with one of our family law solicitors. 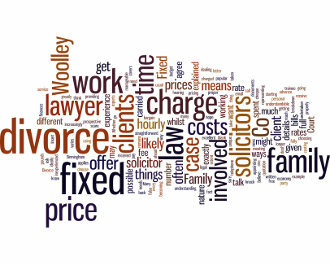 Whether you choose to use Woolley & Co for your divorce or not (and we really hope you will!) do make sure you get proper details on all of the costs involved before you agree to go ahead with any family law solicitor or ask them to do any work for you. Karen was amazing, I can not speak highly enough of her, she was always 2 steps ahead of opposite solicitor. 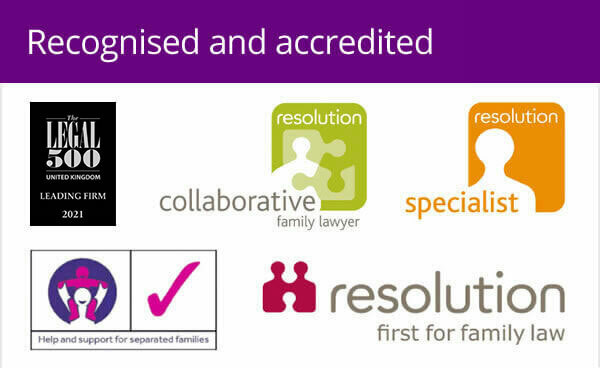 Rebecca is a divorce and family lawyer based in Birmingham. 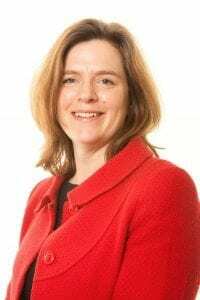 Intelligent divorce costs how much?